Taekwang Jeongsan Country Club is located on Dai Phuoc ecological island, in the middle of Dong Nai River. This is a very convenient location where is lying on the economic development axis connecting South East Religion: HCMC-District 2, 9 and others significant traffic routes. 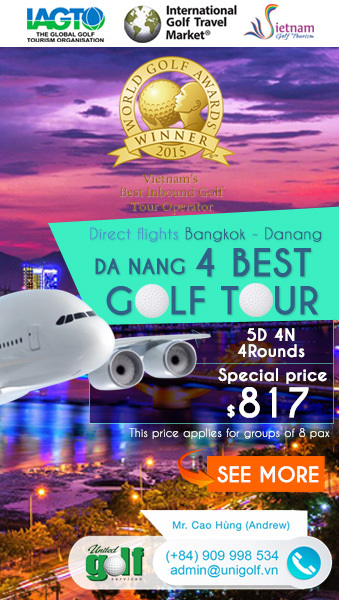 Surrounded by Dong Nai river, it takes 25 minutes by boat or 90 minutes by car from the main hotel districts in Ho Chi Minh City – Vietnam economic center, the course stands alone as a silent green island, peacefully next to the crowded urban center. 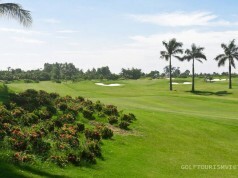 The 18-hole which is the second South Korean – invested golf course in the Southern region after Twin Doves Golf Club in Binh Duong, was designed by Ronald W. Fream (Golf Plan Co) – worldwide renowned expert by his golf experience. The course stretches out 7,295 yards along a man-made waterfront that Golf plan has outfitted with a 50-meter natural buffer and overarching tropical garden landscape. The greens roll smooth and fast and they are often well guarded by heavy bunkering. Water hazards also come into play throughout the golf course. 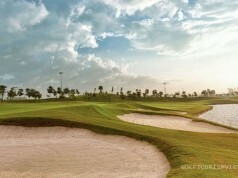 Many deep bunkers make it a real challenge even for the most experienced golfers. With a choice of 5 different tee positions, the course is appealing to all levels; 7,295 yards for men and 5,375 yards for ladies, including an “executive gold tee” with 5,942 yards that will make the course very enjoyable for the higher handicaps and seniors. 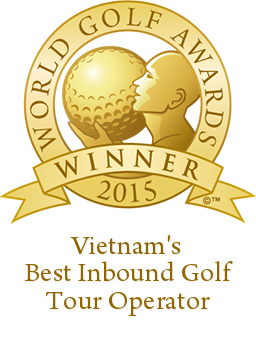 Conditions are good and playing the Out (Sun Course) and In (Moon Course) ends up an overall enjoyable day out golfing in Saigon. Customers can feel the man’s humility toward nature or under the sunshine. For its course design, the designer took full advantage of the surrounding natural beautiful landscape and kept the course as natural as possible. If the land is good enough, then the creative genius of the designer, as well as the quality of the course, really shines through. That’s what has happened at Sun Course. The warmly is either attracted or warm as gentle moon, make people touched, shooting towards Dong Nai river contain challenge together with adventure will bring you the best enjoyment peak. 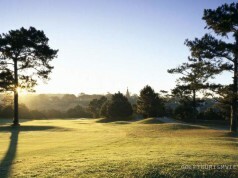 The 9th and 18th are two signature holes of the course. While the 9th is a challenging par 4, long and tight, the par 5 18th hole is a dogleg. Both have the same sand bunkers and play in the opposite direction toward the Club house. The atmosphere of the Taekwang Jeongsan Club House is well suited to membership and begins with the fireplace in the lounge as your first walk into this beautiful building. The most popular areas of the clubhouse always seems to be the fabulous deck with its breathtaking views and refreshing breeze, it emphasizes what our club is all about. Another home for members. Address: Ong Con Island, Dai Phuoc Commune, Nhoc Trach District, Dong Nai Province, Vietnam.